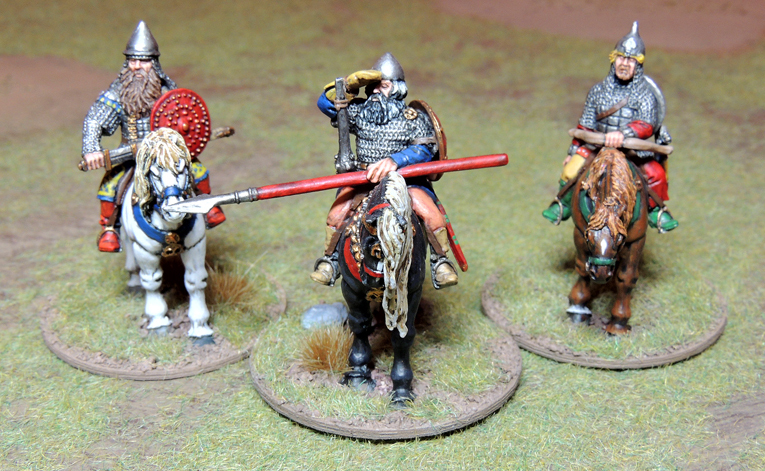 This first glance is part of a wider project involving dwarfs taken away from LotR to play SAGA. 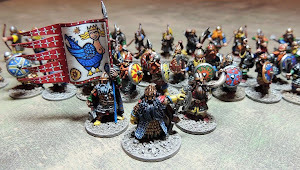 Russian style shields for LotR Dwarf warriors. Nicolas, trop des noms de guerre! Bon chance avec votre nouveau blog. Je vais surveiller. Looking forward to our battle on Aug 6th, studying the rules now. I just got the delivery notice of my purchase in the mailbox. I go get the rules tomorrow... Things are getting nasty ! 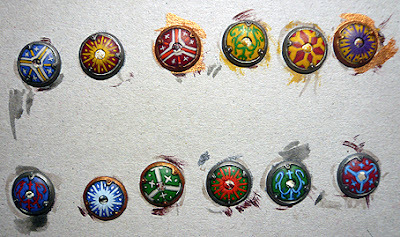 Those are some seriously nice shields. Very impressive! Hope you'll enjoy the bearers too. Very nice looking shileds, will be interesting to see the finished minis to. I am glad you bring this up, because I was having some second thoughts. I'll see if I can darken the background, without sacrificing the picture. Think about changing the text to black, the picture is excellent. Beautiful work on these shields. Amazing detail here. Bravo. Thank you Curt. More to come hopefully.